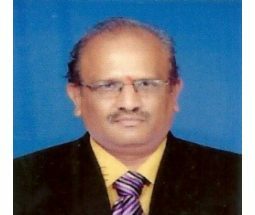 Mr. G.Rajasekar has a bachelor’s degree in Commerce and has passed ICWA Intermediate examination. He has also an MBA and M.Phil. in Management. He has worked as Senior Executive at SVL Spectronics, Hyderabad and later became a member of the DGM panel. Later he worked as associate professor in higher educational institutions at Andhra Pradesh for a period of three years. He has also worked as Academic Counselor at a Study Chapter of IGNOU for ten years. He has published papers on topics like Individual Social Responsibility, Impact of Bossism in work place, Dyadic relationship in organizations, in congruency in communications, analysis of the strategy models, entrepreneurship facilities at rural area etc.